Home » Blog » Two Wins at the 2017 Orange County Fair! Two Wins at the 2017 Orange County Fair! Posted by Mike on Aug 16, 2017 in Blog, Featured | Comments Off on Two Wins at the 2017 Orange County Fair! Two of my photos submitted to the photography competition at the 2017 Orange County Fair won first place awards in their respective categories. My Hawksbill turtle, titled “On the Move,” was first among the Aquatic Animals category. 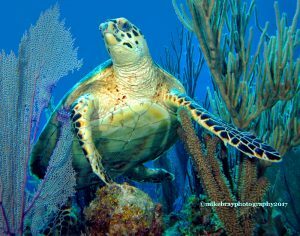 The photo was taken in April off Little Cayman Island where we stay at Paradise Villas and dive with Conch Club Divers. 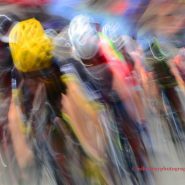 My photo of the bicycle race, “The Sprint,” was taken in Dana Point, California at their annual Grand Prix. “The Sprint” won first place in the category of Manipulated Images and was a division winner for Special Effects. I was the only double winner in the 2017 competition!